Ever since the Photography Section was established at our art fair, we welcomed many thousands of visitors from Germany and abroad. 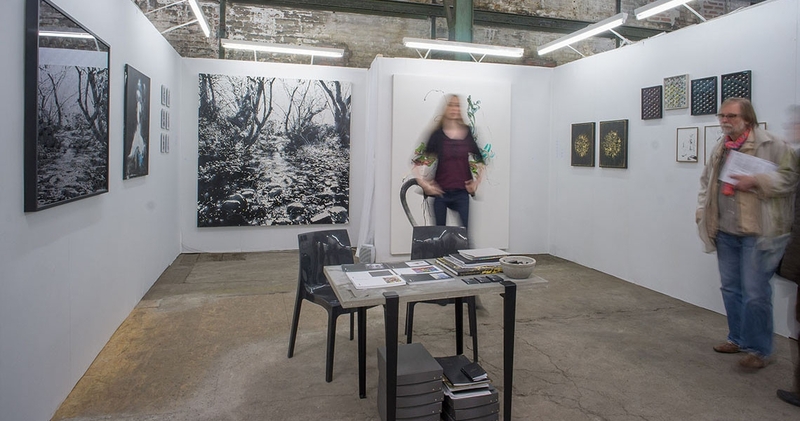 Through years, gallery owners, amateur photographers, and passionate collectors made long journeys to attend our art fair in search for fresh pieces. We have exhibited many great photos – experimental, conceptual, classic black and white, environmental portraiture, elegant nudes, minimalist landscapes, bold HDRs – and many more. While some of these pieces were undoubtedly fine art specimens rooted in the classical academic training and refined approach, others were so bold, and beyond any known school of thought, that they required in an in-depth analysis. The common grounds behind all of these diverse approaches and styles is the fact that the BERLINER LISTE focuses on the intensity and quality of the visual aesthetics. We give our Berlin photographers virtually boundless freedom and this is why they are happy to come back to the LISTE and showcase their new works, events, projects to our visitors. Did you know: The best time to discover Berlin Photography is in September, when the BERLINER LISTE 2017 welcomes its guests! At the BERLINER LISTE 2017, our curator takes every aspect of the presented art into consideration – the context, the concept, and the quality. In accordance with the photographic genre, we aim to be open to new concepts and enjoy the freedom of choice and diversity. One piece of photographic art can be appealing for many reasons – colors, motifs, sentimental values, a sign of something unusual and personal. We choose the artists because of their talent and artistic potential, looking forward to exalting, nostalgic, dreaming or amazing viewing moments. That is why we warmly invite everyone to join us on this wonderful quest for the further discovery of Photography, where we can enjoy the greatest international selection of both distinguished and novice photographers. 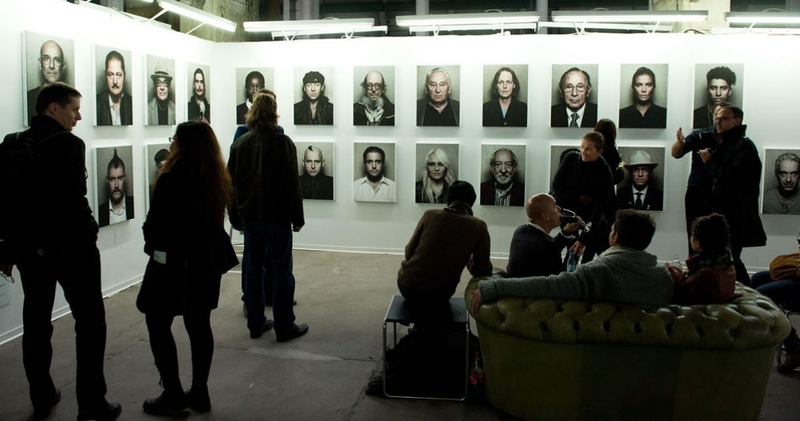 The Photography Section will be featured for the fifth year, making the BERLINER LISTE 2017 the only German art fair to have a designated area for photographers. Berlin has a long tradition in this discipline and hosts many renowned galleries and events across the city. The pure significance of this medium in Berlin is one of the reasons we choose to give this art form a new point of view. The Photography Section curator is a renowned photographer, lecturer and author Stefan Maria Rother. Galleries, project groups and individual photographers are invited to apply. Berlin has many outstanding things to offer, from fantastic museums, art galleries and magnificent public places filled with landmark architecture, to the great music scene, and famous nightlife clubs and venues. It’s the power of diversity that draws so many people to this place – what they all hope for is to find inspiration, unexpected beauty and live through different kinds of experiences. Berlin is also famous for its strong artistic tradition, especially in Urban Arts and Photography. When it comes to Photography, Berlin’s immense power lies in its ability to resonate with many people, because it uses strong visuals and an alternative symbolic language. Also, it allows people of any age to be creative and productive, especially in the digital age when the technology is basically within everyone’s reach. The medium of the lens transcends time and place, showing the conceptual side of our reality, stirring our emotions and sometimes changing our perspective of the well-known surroundings. Here in Germany, in major cities such as Berlin and Düsseldorf, we can find some of the most prolific and most influential world photographers, who have captured and covered the widest range of topics over time – from minimalist architecture to bizarre portraiture, from peaceful, idyllic landscapes to abstractions mimicking the contemporary art movements in painting, such as surrealism or impressionism. The Düsseldorf School of Photography is today famous for gathering a circle of the true masters of the 20th-century German photography and the loudest name related to this school is certainly Andreas Gursky. His large-scale breathtaking photo edition still breaks records at the most prestigious auctions around the world. In short, the contemporary German photography left a strong and meaningful trace in the history of the 20th century visual arts and Berlin photo galleries are a great place to take a look at some of these priceless Photography jewels. The city of Berlin is one of the most commonly photographed cities in Europe. The main reason for this is its diverse architecture, cultural appeal, and powerful history. The history of contemporary Berlin photography started in the 20s and the 30s, when the art of making images was divided into two radically distinct approaches. One of them was associated with the work and ideas of László Moholy-Nagy and it was based on experimental approach and unconventional techniques, such as finding unexpected vantage points. The other approach was known as New Objectivity and it revolved around meticulously objective, rigidly documentary style. Thanks to these two different directions, the world of 21st-century German photography evolved into a rich and colorful melting pot of different styles. Nowadays, anyone can have a camera and photograph literally anything, while smartphone cameras keep getting better and better. As a consequence of the digital approach, many photos appear to be instant, fast, snappy and above all temporary, geared towards Facebook, Instagram or a personal blog. However, when we talk about the fine Berlin photography, we don’t have in mind such snapshots. We rather think of a world of young artists who reinvented the old traditional approaches and created a very own hybrid kind of a medium, which combines traces of history with heaps of creativity and uniqueness. Whether you find yourself in a Berlin photo gallery or browsing through photography gallery websites, you will certainly find a photographic style which resonates with your inner world and sentiments. The same rule goes for our Photography Section at the BERLINER LISTE 2017 – whether you are looking for strictly documentary photography, pure abstraction or perhaps something mysteriously ineffable, an uncharted territory in between the regular photography realms, our art fair will be the perfect artistic getaway for you. This will be the fifth year that our splendid Photography Section showcases the best of Berlin photo imagery, as well as many interesting international masterpieces. With our thoughtful selection, guided by our curator, lecturer, author and photographer, Stefan Maria Rother, we want to maintain the image of the city of Berlin as the home to many renowned photo galleries and even more talented professionals and amateurs. The BERLINER LISTE supports the freedom of photographic creativity in which everyone will get enough room and understanding for every type of self-expression. We are eager to embrace progressive photographic genres and we are especially welcoming to young German or foreign photographers who still need to find their own direction and style, but have a plenty of authentic talent and energy. Did you know: Whether you are looking for details in a scene from life, a pure abstraction, or perhaps a clever new conceptual work, BERLINER LISTE 2017 event has got you covered!